Mizoguchi started playing piano in 1963, at the age of 3, and the cello in 1971. From 1978–1985 he attended the Tokyo National University of Fine Arts and Music where he majored in violoncello. 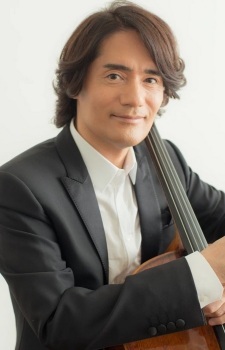 While at school, he started playing the cello with Japanese pop-singers and working as a studio musician for radio, TV, films, and albums. In 1982, at the age of 22, he had a serious traffic accident which led to his composing. In 1986, he released his first album, "Half inch dessert", being listed as composer, arranger, and performer. From that time on, he has released more than 20 albums including motion picture soundtracks, has performed in many concerts on his own or with ensembles, has been a producer for various musicians, and so on. By the late 1980s, he was generally recognized as one of the leading musicians in Japan.